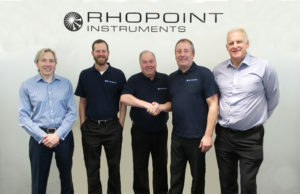 Rhopoint Instruments Ltd., renowned manufacturer of appearance test instruments is pleased to announce the opening of our American office. Rhopoint Americas Inc., was established in 2018 to provide a dedicated service to customers located in North, Central and South Americas. Headquartered in Troy, Michigan, Rhopoint Americas is ideally situated to provide support to the automotive and coatings industry sectors. Carrying comprehensive local stock of the appearance testing instruments manufactured by Rhopoint Instruments Ltd., Rhopoint Americas offers online ordering for all instruments in the range at manufacturer’s direct pricing with free next day shipping to the USA and Canada. Service, calibration and basic repairs are carried out by Rhopoint Americas, the ONLY factory authorised and approved service centre for Rhopoint Instruments in North America. President of Rhopoint Americas is Darryl Case, an individual with over 35 years’ experience in supplying advanced testing systems to the automotive and aerospace industries in North America.